It’s well known that Sprint doesn’t have the best network when it comes to cellular data coverage and speed, but the carrier have been improving many aspects of their network this year. Compared to last year, Sprint has tremendously expanded their 4G LTE coverage and have introduced better pricing to compete with carriers that have a well-built network like AT&T and Verizon. On Thursday the carrier announced a new unlimited everything plan which offers unlimited text, minutes, and data for just $60. To put this into perspectives on how good this deal is, last week Verizon announced a new plan that gives users unlimited text and minutes but only 2GB of data for $60. 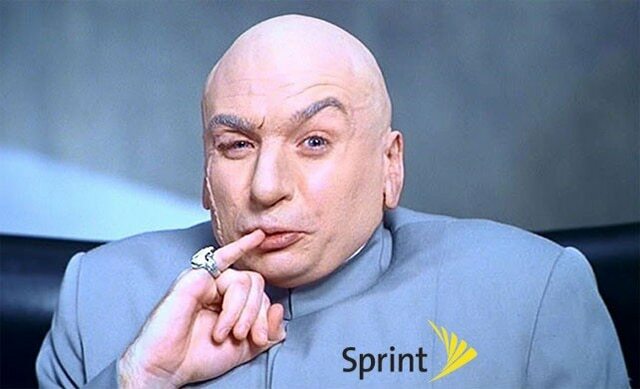 Instead of 2GB of data Sprint is giving you unlimited data for the same price as Verizon. T-Mobile, the beloved carrier by the ghetto community, also has an unlimited everything plan offering unlimited data. T-Mobile charges $80/month for this plan while Sprint new plan is only charging $60. But hold your horses. Sprint is very known for their slow data and not so well LTE coverage. So although they’re giving you more than Verizon for the same price, Verizon will give you more coverage and speeds. However, this is a great plan for those who want unlimited data, Sprint is good around their neighborhood, and don’t travel that much. Also Current on-going two-year contracts will have to wait until their contract expires to sign up for this plan and obtain a phone at a discounted price.